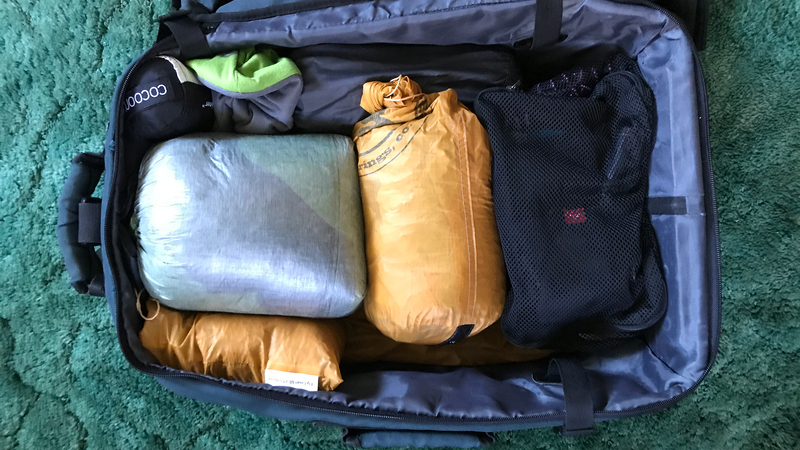 Whether hiking, exploring a city or spending a month or two across the ocean, I am know to be a minimalist packer ... until it's time to return home and I find that the books I've acquired don't fit into my carry on luggage. I haven't mastered talking myself out of purchasing art books, exhibition catalogs and brochures containing details and history of the places I visit. Perhaps one of you can make a few suggestions that I might try to curb my indulgence. 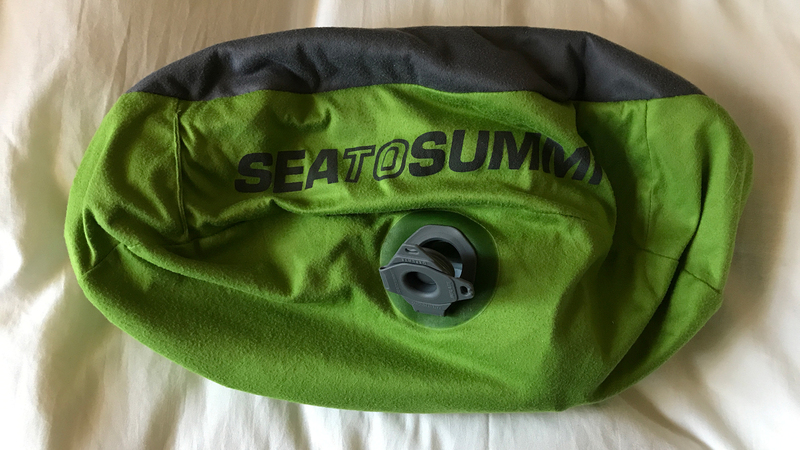 Several years ago I posted information on my compact, lightweight gear. It's time to update that information. I'll start with my sleeping gear. This information hasn't changed. I haven't discovered anything that works better than my original equipment. It's fantastic. 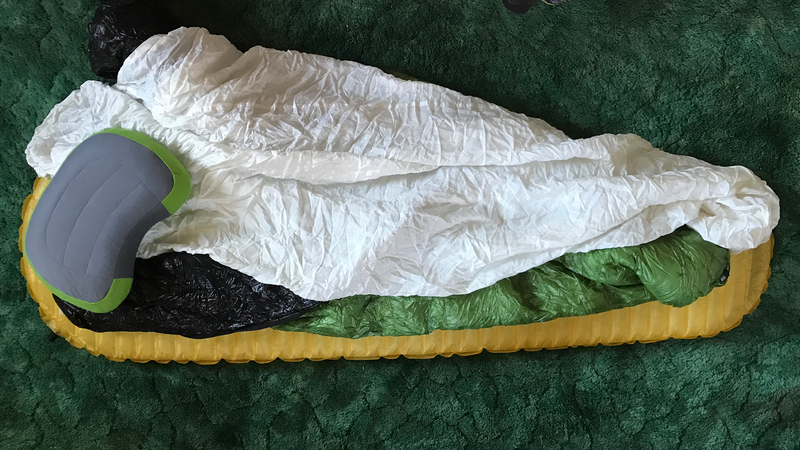 The only item I might change is my mummy sleeping bag. I would get the exact same bag except that I would order it to be made with the hood rather than without the hood. The extra weight and size would be negligible and it would keep me even warmer without having to wear a hat and neck warmer. My camping gear, filming equipment, art supplies and the small amount of clothing I need, fits into my carry on, wheeled Rick Steve's suitcase. Originally, I used the backpack version of the Rick Steve's carry on. After a few times of running to catch my connecting flight, I opted for the wheeled version. There is a model that is both wheeled and backpack. The backpack part adds bulk and weight to the suitcase so I chose the option with the wheels only. I still use my backpack version when I don't need to run with my luggage. 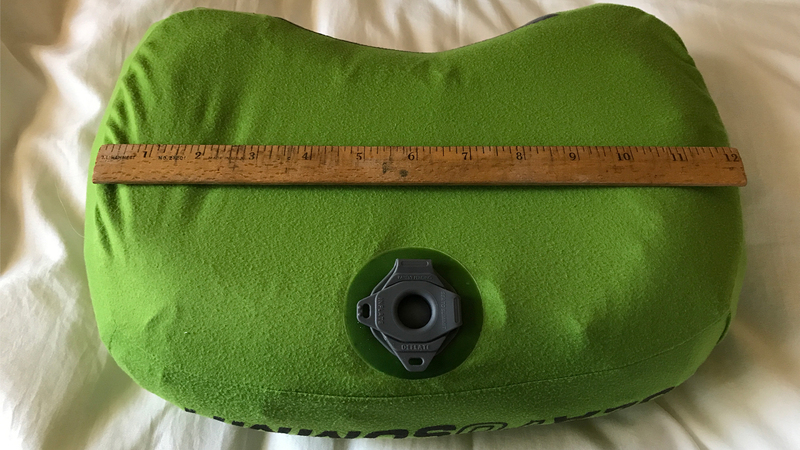 The sleeping bag can compress even smaller than I've shown above. It keeps me warm to 32 degrees Fahrenheit. 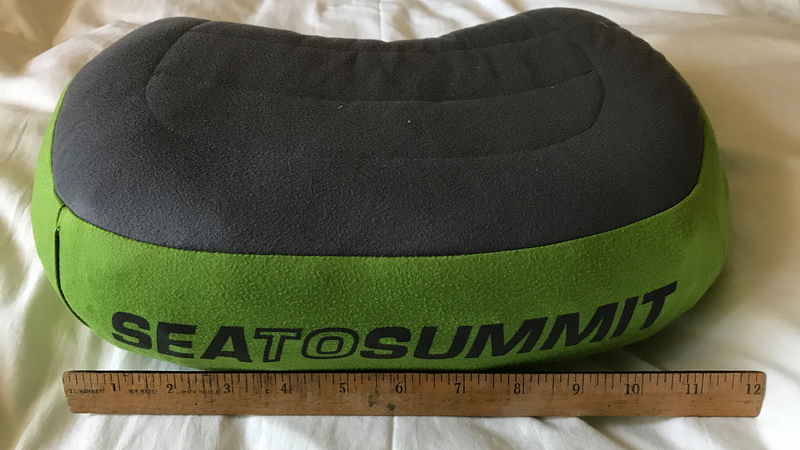 SeatToSummit blowup pillow that serves as a sleeping pillow, airplane pillow, seat on the ground or for meditation seat. 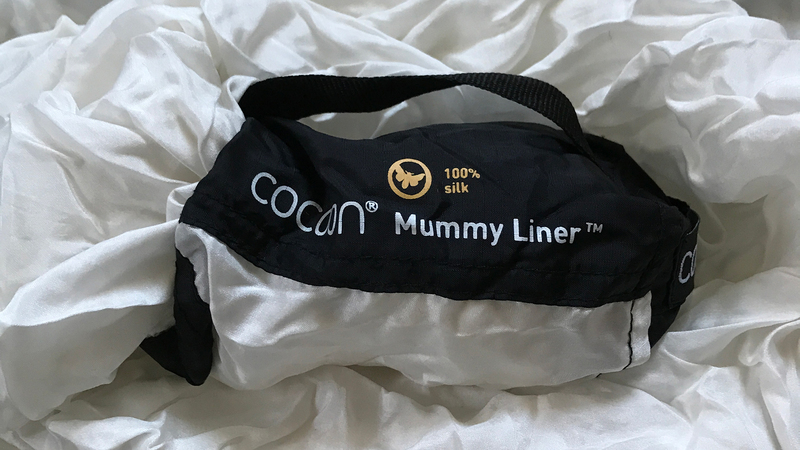 The mummy liner serves two purposes. 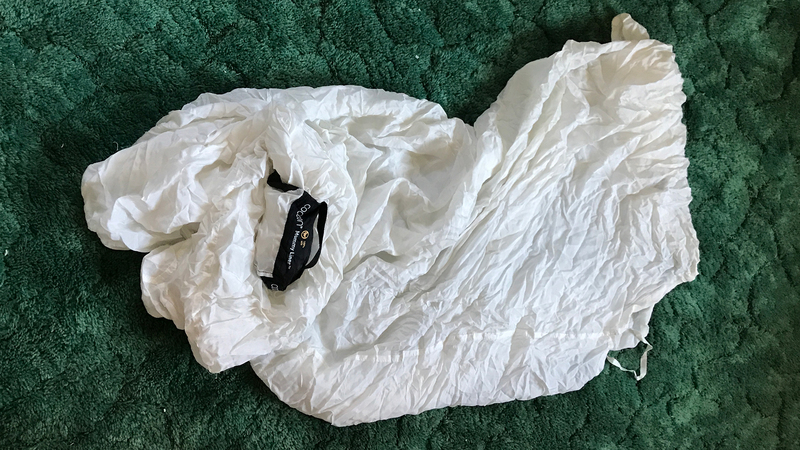 It keeps my sleeping bag cleaner and it adds 5 degrees of warmth. 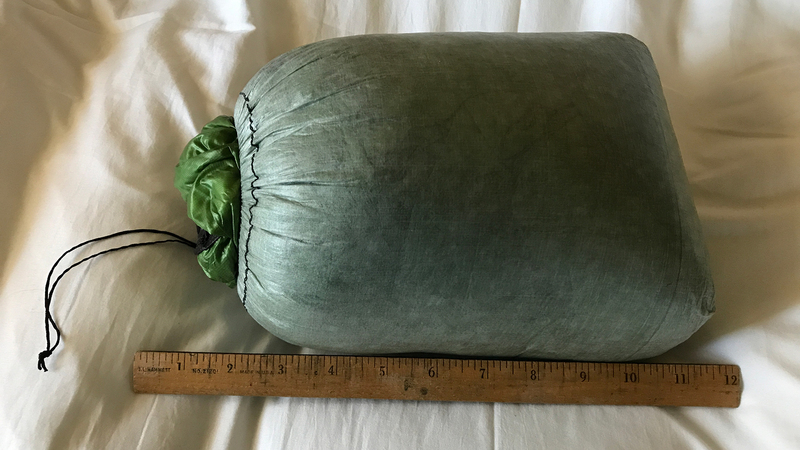 It's packs into a tiny little sack and weighs almost nothing. 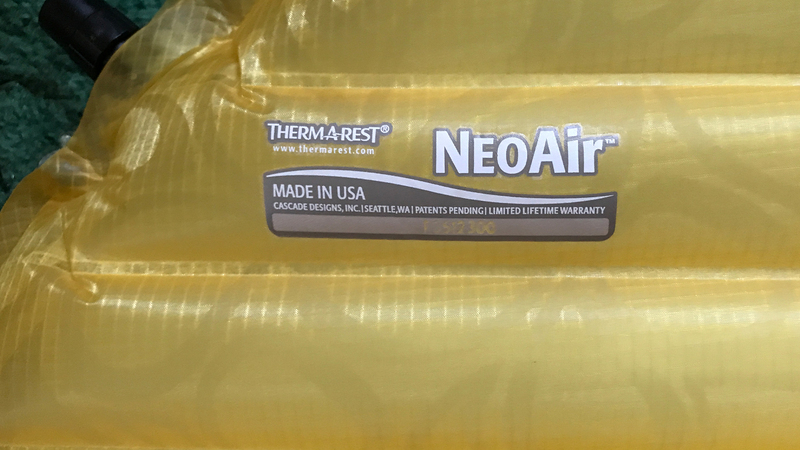 Sleeping pad: Women's NeoAir XLite packs to 4" x 9". Weighs 11 oz. 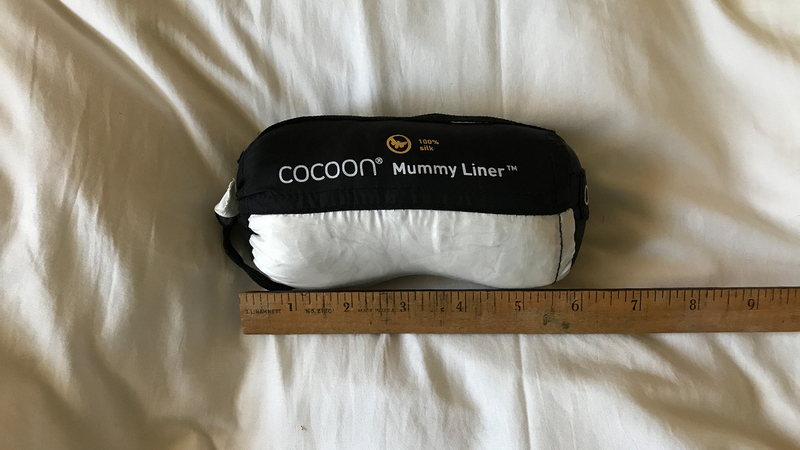 Pad, sleeping bag, pillow, mummy sack liner packed into carry on. 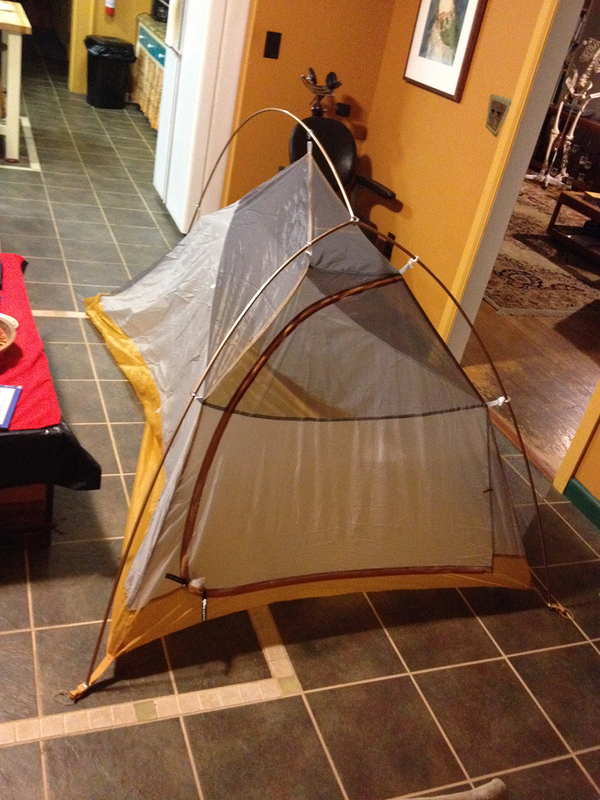 Ahhhh ... a wise addition to my sleeping gear ... a tent! I love sleeping under the stars and falling asleep gazing at the constellations sparkling above me or the tree limbs dancing in the wind. 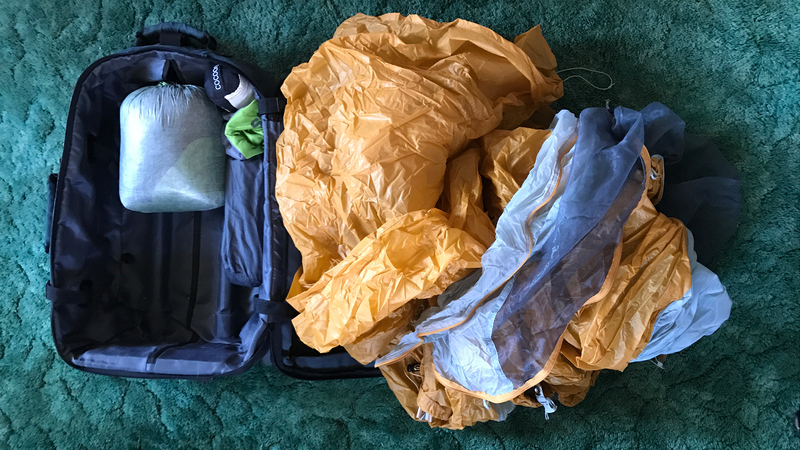 To save space and weight, I usually didn't pack a tent when I was flying to my destination. That changed after camping in the mountains of California and watching a young rattlesnake cross in front of me while sipping my morning coffee. I decided not to take the chance of being surprised by a rattlesnake while camping without a tent, gazing up at the stars or while fast asleep. I had three criteria when choosing a tent. 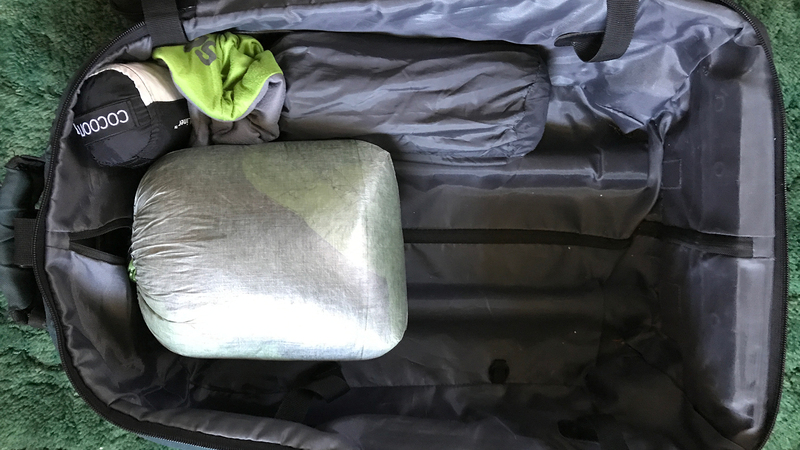 It had to be light weight, fit into my carry on with everything else AND have a net roof so that I could see the sky when lying on my back. 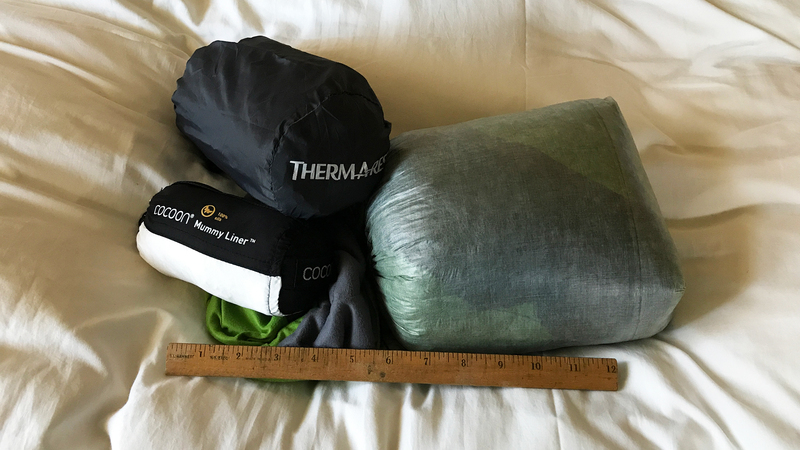 The Big Agnes met all three criteria. It is cramped for two adults. It is perfect for a single adult. 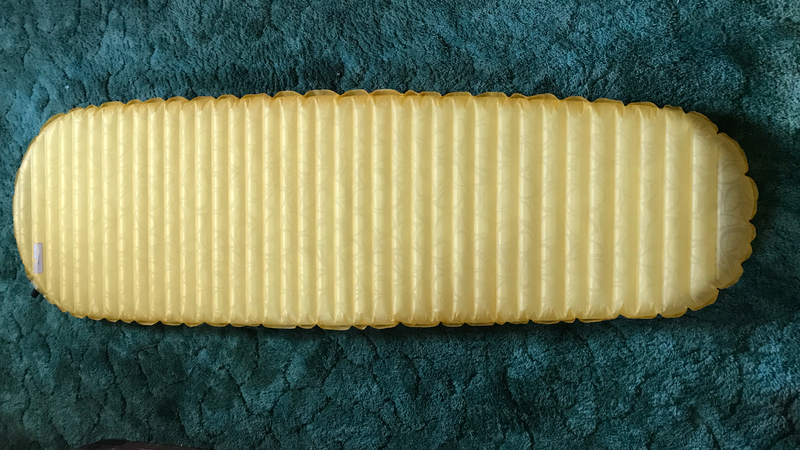 It has a rain fly that I hardly ever use. 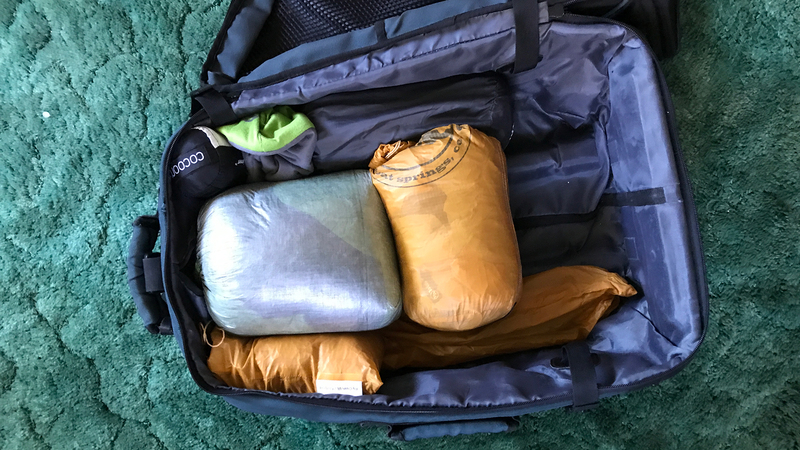 I also don't pack it in my carry on unless I am going for a multiple day hike. Tent, poles and footprint for under the tent to keep it dry. Still plenty of room in my carry on! 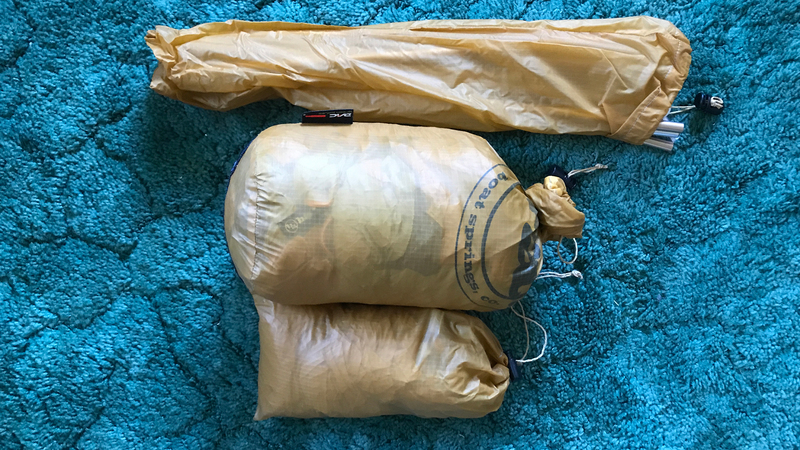 Sleeping gear, tent AND filming equipment. Still plenty of room for art supplies and the minimal clothing I pack. I will share my packing list of filming equipment, art supplies and clothing in future blog posts.